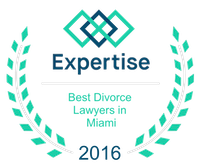 Contact Miami Beach Divorce Attorney Vilar Law, P.A. Not everyone who seeks a divorce in Florida was married here. A bill that would ban Florida courts from considering religious or foreign law in divorces and other family law cases was recently approved by the Senate Judiciary Committee. Proposed Senate Bill 58 was introduced by Senators Alan Hayes and Larry Metz, and states that only Florida law may be considered with regard to child custody and support, divorce, alimony, and the division of a former married couple's assets. The bill will reportedly move on to several other Senate committees before it reaches a vote. Additionally, the proposed measure is apparently ready to be heard in Florida's House. In the last legislative session, the same bill was passed by the House but later failed in Florida's Senate. Before Senate Bill 58 left the Judiciary Committee, a number of individuals offered what purportedly turned out to be emotional testimony regarding the proposed legislation. Supporters of the bill allege that the proposed legislation was simply designed to prevent potential legal issues in the future. Critics claim the measure was designed to target Sharia law, a Koran-based code that is followed in some Islamic countries. At present, the American Civil Liberties Union and a number of religious organizations in Florida oppose the bill. Last year, a federal appeals court blocked a similar voter-approved law from going into effect in the State of Oklahoma. A three-judge panel of the Tenth Circuit held the law, which specifically forbade judges from considering both Sharia and international law in their decisions, unconstitutionally discriminated among religions. Every year, many Florida residents find themselves in the midst of divorce proceedings. The host of emotions that often accompany the end of a couple's marriage may feel overwhelming. In addition, the financial damage that can result from dissolution of a marriage can be devastating. If you are faced with divorce, you owe it to yourself to discuss your rights with a skilled divorce lawyer. The end of your marriage can be both emotionally and financially difficult. 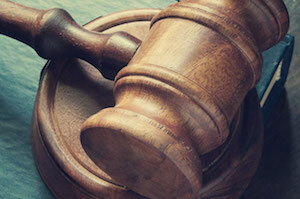 An experienced family law attorney can help you protect your financial and other interests. At the Law Firm of Vilar Law, P.A., our lawyers focus their practice exclusively on family law matters. Our hardworking attorneys are available to assist you with all of your family law needs, including complex divorces, equitable distribution, spousal support agreements, child custody and support, prenuptial contracts, post-judgment enforcement and modification, paternity, and domestic violence. The Law Firm of Vilar Law, P.A. represents clients who are located throughout the Miami area. To discuss your divorce or other family law issue with a quality advocate, you should call attorney Patrick Vilar at (305) 373-8000 or contact them through the law firm's website.